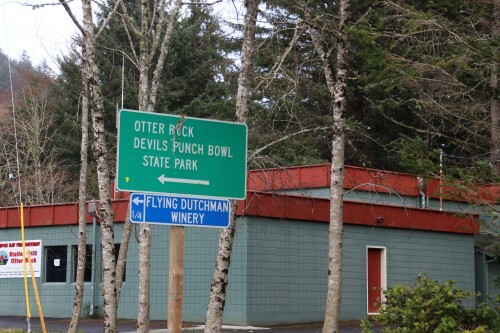 Hwy 101 mile marker 132. Devil's Punchbowl. 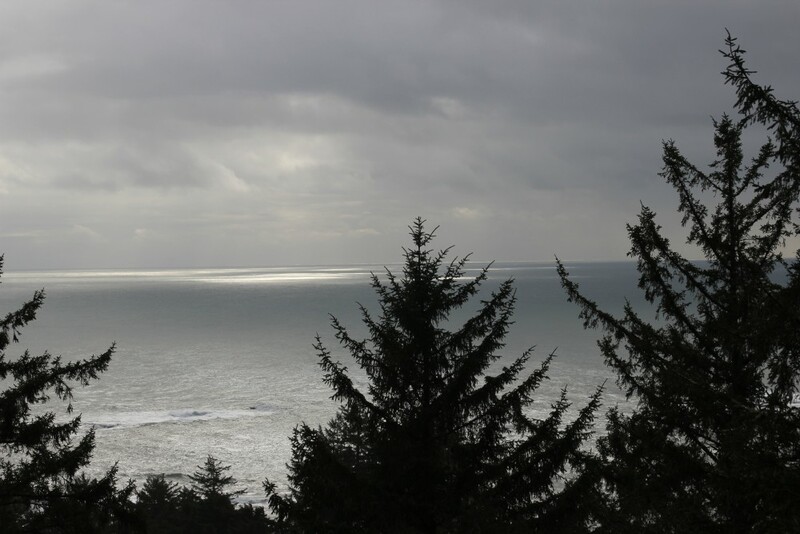 In addition to the bowl-shaped rock formation in the sea, this Natural Area is also a popular whale watching site, and contains some tidepools to explore as well. 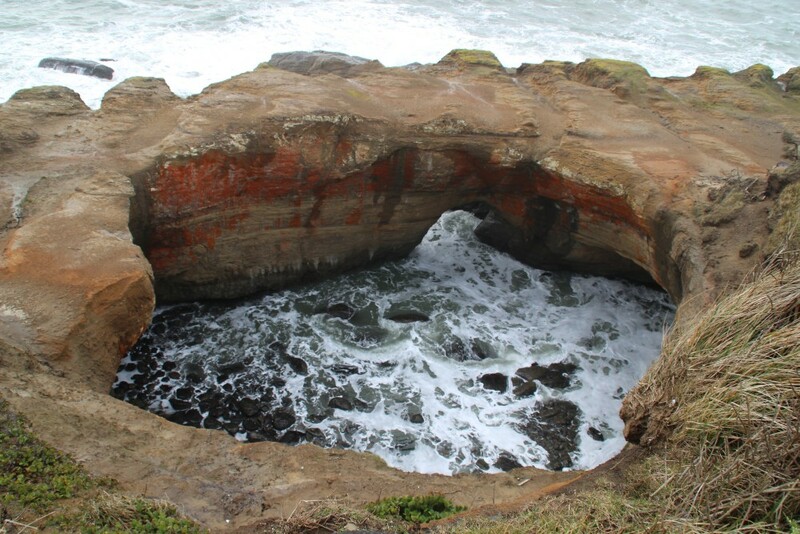 Oregon Parks link:Devil's Punchbowl No fee required. From the viewpoint near the parking lot you can look down at the rock formation that is called the Devil's Punch Bowl. At high tide, when the winds are strong, the wave action is said to be pretty impressive. Here's a view from a nearby viewpoint.